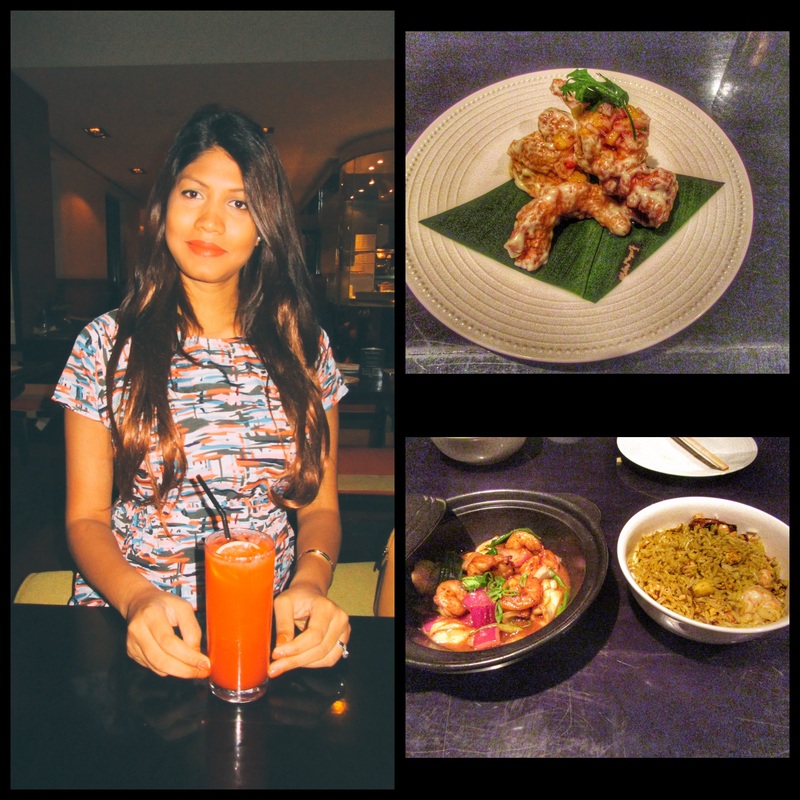 So since I was craving some Asian food , we headed out to Noodle house at Madinat Jumeirah. They have a couple of other branches around Dubai, launched in 2006. They recently launched a new selection of 65 dishes. Started off with the Wasabi Prawns , (AED 42) Small plate , they were large prawns battered and a top coating of wasabi mayo chili . You can feel the kick of the wasabi in every bite . For main course we ordered the Seafood fried rice (AED 30) and Wok fried chili calamari and prawns (AED 65) , which I can say was quite impressive , since I’m a huge seafood fan , they had their tangy and spicy aspects all rolled out nicely , not to forget the yummy rasberry lemonade that I had , so dinner turned out to be a total date night for me. They also have an outdoor seated area overlooking the water, since the weather wasn’t that bad there were people sitting out , too crowded for a Sunday evening , a lot of tourists . The service was very quick and efficient or rather too fast in taking orders. Very helpful and loved the ambience of the place too . I have tried out noodle house at various locations before , but got to admit Madinat Jumeirah and Emirates towers are the two places where their food is on point and where they have the best chefs working. If you use your master card there is an additional 20% off your total bill , ofcourse no one told us about it , but we just happened to use the master .